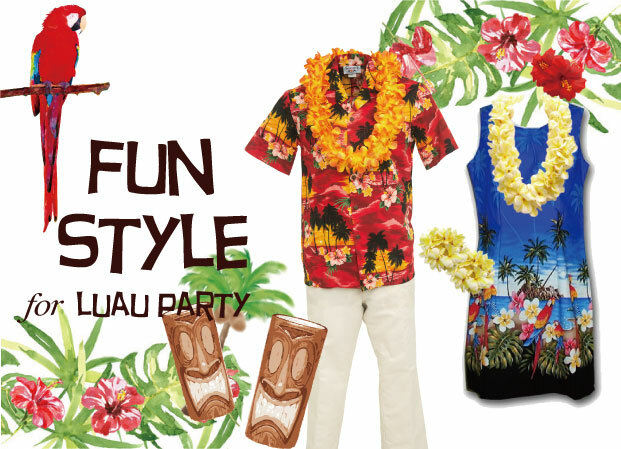 party dress but if you want the “Authentic Hawaiian Experience” you need to dress the part. 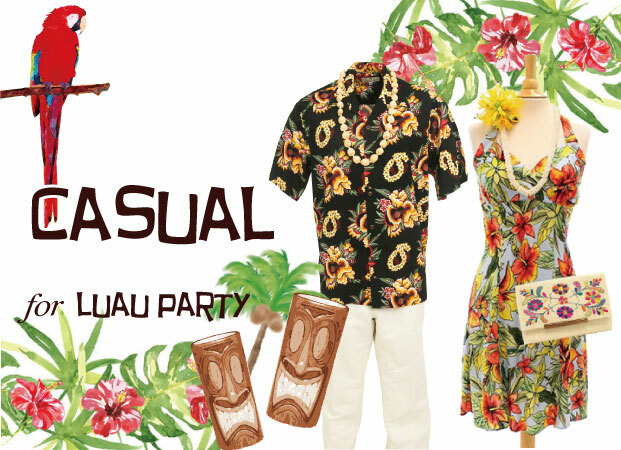 The casual luau style is the staple of the Luau Party. The concept is to keep it simple but with a Hawaiian feel. The key to the casual style is accessorise properly. Make sure to pick up a flower hair clip and necklace to round out your Luau Party look. 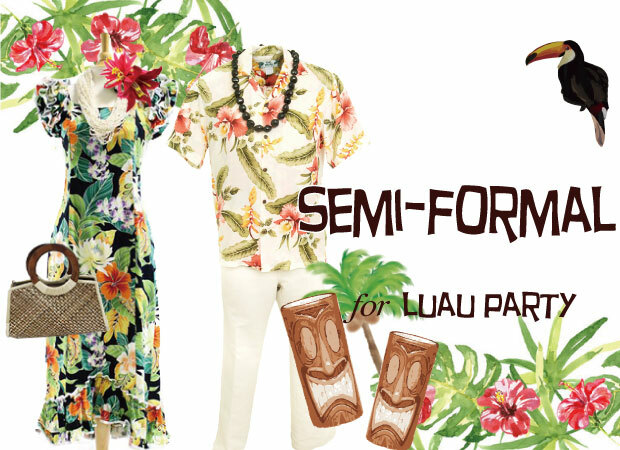 The semi-formal luau style is just as it sounds. Traditionally this style is categorized by longer dresses with a more traditional design. Accessories are also important but tend to gear toward the more traditional Hawaiian look. Check out the link to find an assortment of dresses the will match you occassion. The fun luau style or party luau style is the kind of this you see when going to a luau on vacation. 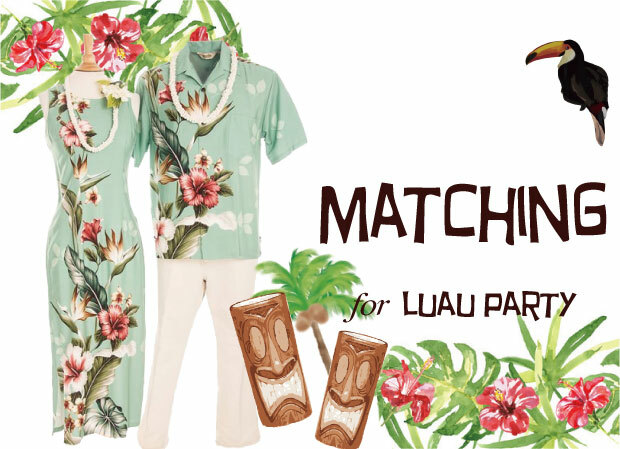 Usually having more non-traditional prints and shorter lengths, the fun luau style is the party dress “Hawaiian style.” Get a few accessories to liven up the outfit and don’t worry just have fun with it. Red Deluxe Hibiscus Hair Clip 5"
The Matching Luau style can really fit into any category. The great part about Hawaiian clothing is that Hawaiian prints work great for both men and women. Just pick the style you like and the same for your spouse or friends. If you have kids, pick up the matching outfit and our whole family can show up in style. Light Blue Silk Spider Lily Lei 40"
White Small Plumeria Hair Clip 3"
Orange Deluxe Hibiscus Hair Clip 5"
White & Blue Large Spiderlily Hair Clip 5"